A boulder opal contained an unusual carpet of needle-like lepidocrocite inclusions along the interface between the opal and the ironstone matrix. 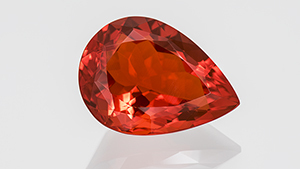 The fashion trend of colorblocking can be found in the artistic combinations of color in multicolor gemstones known for their color zoning or banding. 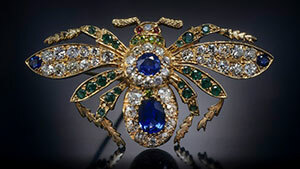 Delightful garden creatures and flowers are favorite subjects that transform beautifully into Victorian, Art Nouveau and modern jewelry designs. Jürgen Schütz discussed the opal sourcing and cutting activities of the German firm Emil Weis. 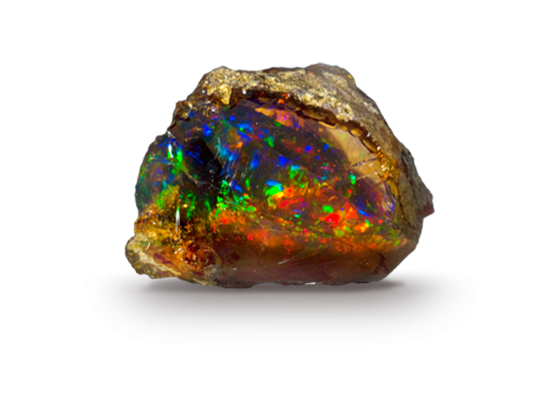 Description of Indonesian opal reportedly from West Java. 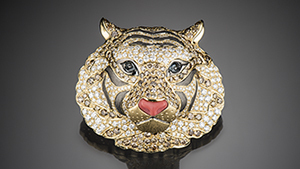 Renowned designer Paula Crevoshay discusses artistic influences and her latest creations. 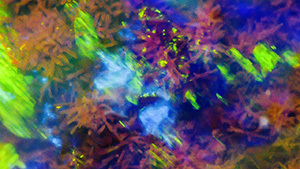 Opal purportedly from a new deposit is found to be dyed. 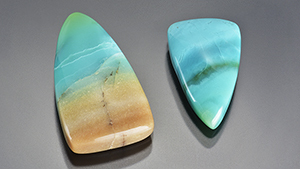 Two stones with unusual bodycolor are identified as precious opal. 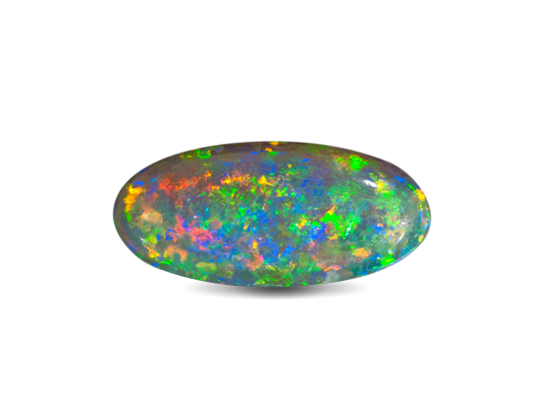 An opal from Ethiopia with a natural-looking bodycolor is found to be dyed.